For more than 46 years, Steven C. Baker has been helping his clients create financial stability through life insurance, annuities, and long-term care insurance. He began his career with the New York Life Insurance Company August 4, 1969, and remains active in the business. 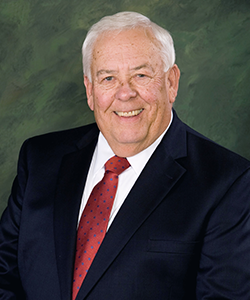 He founded the Steven C. Baker and Associates in 1971, which later evolved into the Baker Financial Group. Being successful while working with farmers in the farming community, Steve was invited to speak on several panels for the New York Life Insurance Company's Council meetings in New York City and Washington DC. Steve is actively involved in the Upper Sandusky community, having served in numerous organizations and boards throughout his career. He was instrumental in organizing the Trinity United Church of Christ Endowment Fund, serving as the first President of the Endowment Committee. In his free time, Steve enjoys working in his yard, gardening, traveling, and spending time with his wife, Carmen, their two children and spouses, Shannon (Mike) and Chad (Christina), and their four grandchildren, Anna, Luke, Lauren, and Caroline. For 20 years, Chad has helped individuals and business owners define and achieve their financial objectives. Chad earned his undergraduate degree from The Ohio State University. He continued his education by earning his CFP® (Certified Financial Planner) and ChFC® (Chartered Financial Consultant) designations. In fact, Chad is the only CFP® professional with offices located in Wyandot County. He also holds the FINRA series 6, 63, 65 and 7 licenses. Chad’s financial planning philosophy is that of building financial plans that stand the test of time through prudent strategies, sound recommendations, proper asset allocation and diversification. He believes that too often advisors confuse planning with just selling their clients products. A properly written financial plan adds clarity and purpose to the financial aspects of your life. Areas of focus need to include investing properly, asset protection, retirement income planning and estate planning. Chad is deeply committed to his community having served on several community organizations and boards including the Upper Sandusky Chamber of Commerce, The Fairhaven Capital Campaign Committee, Rotary and Wyandot County Pheasants Forever. 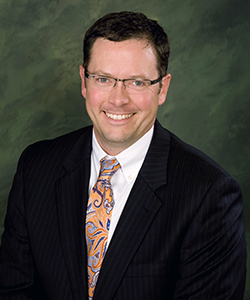 He also enjoys mentoring young advisors and has spoken numerous times to business classes at the Ohio Northern University on the topic of financial planning. In his free time Chad enjoys spending time with his wife Christina and their two children. He also enjoys the outdoors, hunting and coaching youth sports. Martin “Marty” joined Baker Financial Group in 2010. He was named New York Life rookie of the year in 2011 for the Columbus General Office. Marty has numerous ties to the business & agricultural community and currently holds a Series 6 license with FINRA. 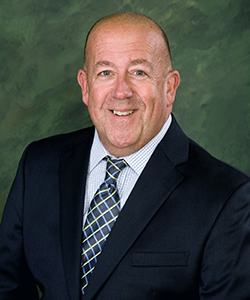 Prior to joining Baker Financial Group Marty was a business owner in Upper Sandusky for more than 20 years. Marty is a member of the Upper Sandusky Rotary club and has served as its President. He is involved in BNI and an active supporter of events in the community. Marty is a member of the Columbus NAIFA chapter. In his free time, Marty enjoys boating, working in the yard, and spending time with family and friends. Marty is married to Kellie, they have a son Alec. They attend Trinity Evangelical United Methodist Church in Upper Sandusky. 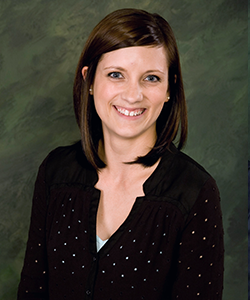 Katie joined Baker Financial Group in 2016 as the Administrative Assistant. She holds an Associate’s degree in Office Information Technology from Marion Technical College. Katie also has attained her Life and Health License for the State of Ohio. Born and raised in the community of Upper Sandusky, Katie has created many relationships with businesses and the agriculture community. Katie has previously been active in the community holding a three-year term on the Upper Sandusky Area Chamber of Commerce Board of Directors. She currently holds a position with the Ambassador program for the Upper Sandusky Area Chamber of Commerce. Katie was previously involved with the local Relay for Life planning committee as the Marketing Lead. In her free time, Katie enjoys spending time with her husband Josh and their two children, Caleb and Trenten. She also enjoys camping, sports and making cakes.